I’ve been so in love with creating bracelets lately. It is just so amazing to me to create something that actually goes out into the world. I usually work in art journals and doodles, which may end up being shared in a random social media pic here & there, but that’s about it. When I started making bracelets, that all changed & I really love this new way I am sharing a bit of my creativity. What I love and cherish even more is that my art is helping us get to our sweet Baby J & our prayers for parenthood. Each sale brings one step closer to our baby dreams. Each bracelet holds a secret, too. A little bit of love from our sweet angel Baby Hope. 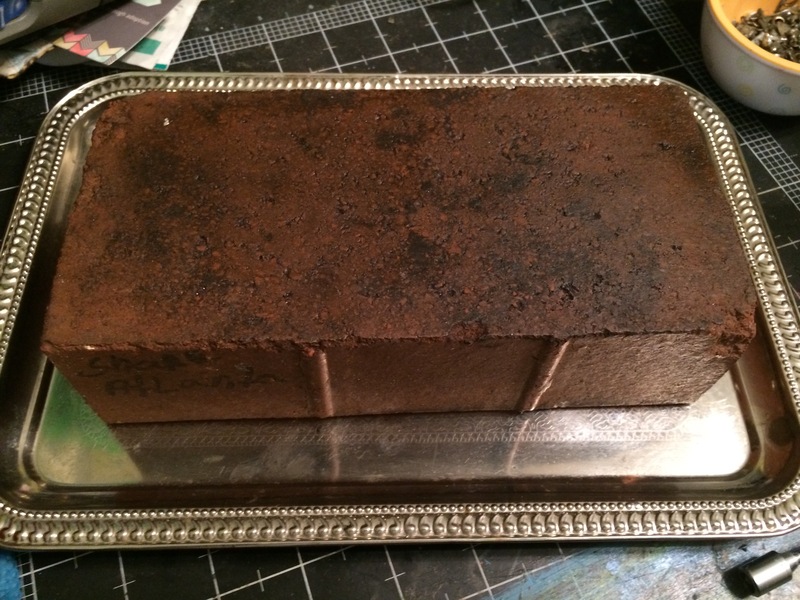 I use one of her special memorial bricks as part of my work surface. I love that her memory is a part of each special bracelet. She is always with us. 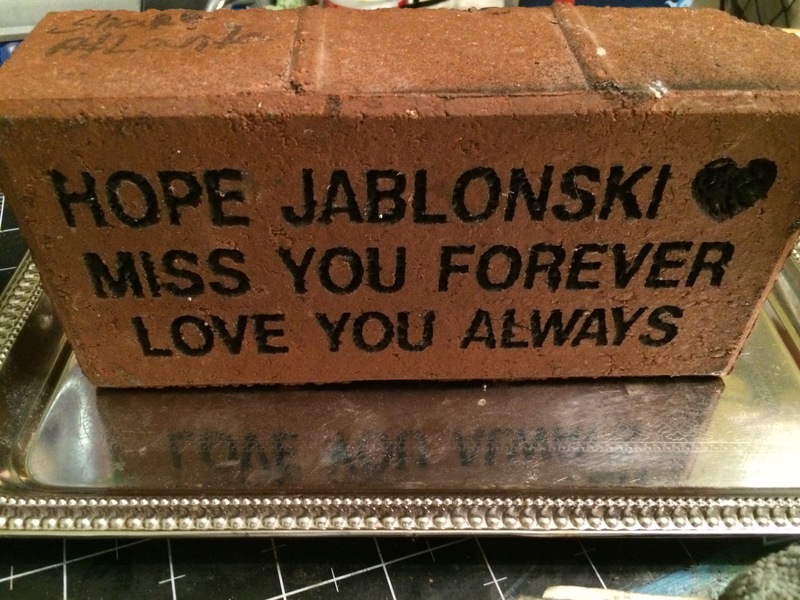 We have several memorial bricks, one was installed at the Angel Garden, one sits in front of the mantel in our living room, and now one rests in my workshop as a piece of my art. It means so much to us that she is part of this process. We love you, Hope. Always. What’s your word? Wear it on a SBJ cuff!